I’m delighted to announce that the Civil Service Fast Stream graduate programme - from which our future leaders will emerge - has moved up from fourth to second place in this year’s Times Top 100 Graduate Employers. This is our highest ranking in 14 years; and the Fast Stream’s share of the vote increased by a highly impressive 40%. The 2017 recruitment campaign results are extremely positive. Applications reached record levels - almost double those of the next largest employer. The fact that the Civil Service continues to attract high-quality talent - and from an increasingly diverse range of backgrounds - says much for the motivation of young people who want to make a difference and see an opportunity for a fulfilling career in public service. We were awarded ‘The Times Public Sector Employer of Choice’ for the third consecutive year, and Top Public Sector Body in the 2017 ‘UK Social Mobility Index’. In all, we filled over 1,300 roles, 122 of them with candidates from within the Civil Service. Many of those appointed came through our new purpose-built assessment centre in Newcastle, which was introduced to make us more accessible to a wider demographic. However, we still have work to do in attracting more candidates from lower socio-economic backgrounds. In 2015, we opened ourselves up to external scrutiny by inviting social mobility charity The Bridge Group to review our attraction and selection processes, with a view to increasing our intake of applicants from less-privileged backgrounds. I’m pleased to say that the vast majority of the Bridge Group recommendations have already been implemented. These steps all play their part in attracting and developing a diversity of talent in the Civil Service that makes it truly representative of the country at large. And they take the Civil Service closer to our goal of being the most inclusive employer in the country and a true engine of social mobility. 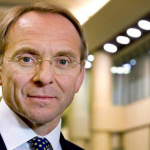 If you are a recent graduate or will be graduating next summer - or indeed if you are an existing civil servant - there has perhaps never been a more exciting time to consider a leadership career in the Civil Service. We face huge challenges but can also offer great career opportunities. For graduate entrants we are developing new career paths, including a wider range of exciting options, in areas from policy to technology, and from project delivery to commercial. This is of a piece with a modernisation of the Civil Service that is already under way: with the aim of working smarter, more efficiently and collaboratively, in up-to-the-minute workplaces with the best available technology. Because not improving is not an option. And we need the next generation of leaders - at all levels - to keep up the momentum towards ‘A Brilliant Civil Service’ that produces the best outcomes for the people it serves. Applications for the 2018 Fast Stream intake are now open, with schemes to suit all talents. If you think you have what it takes to succeed, this is an unmissable opportunity and I encourage you to apply. Applications for the Civil Service Graduate Fast Stream will close at midday on 26 October 2017. 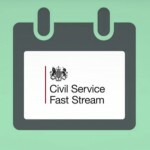 For more information, visit www.faststream.gov.uk.